Combining comfort and versatility into one gorgeous package, our Ergo Pen custom USB drive is an ergonomically-inspired ballpoint pen with a Hi-Speed USB inside! Made out of durable metal with a soft PVC grip, this customizable drive comes with an LED indicator light and some serious data storage power. The Ergo comes with a Free 4-Color Silkscreen or Laser Engraving so you can personalize your pen drive with your logo or brand. 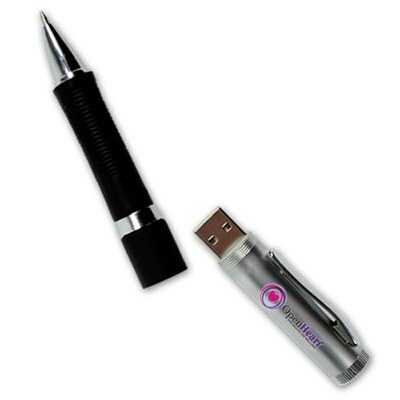 Personalized pen drives are a top shelf marketing ploy aimed at reigning in repeat customers. 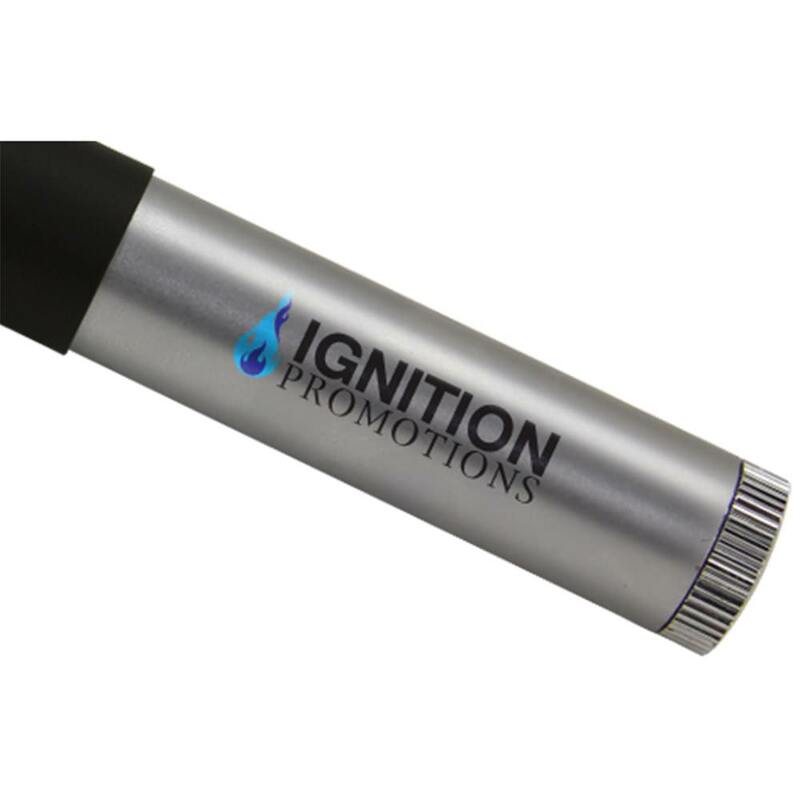 This USB pen with logo also comes with a lifetime limited warranty. The Ergo Pen USB custom drive is available with FREE shipping. Choose a USB with versatility that’s designed for maximum comfort and convenience. 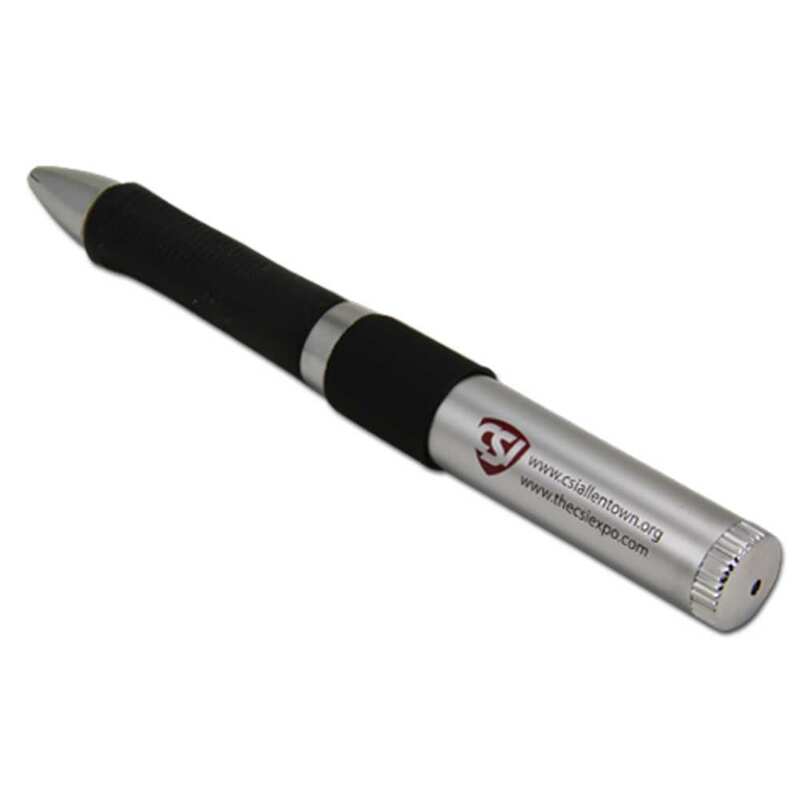 Our Ergo Pen custom USB is an ergonomically-inspired ballpoint pen with a Hi-Speed USB concealed inside it. 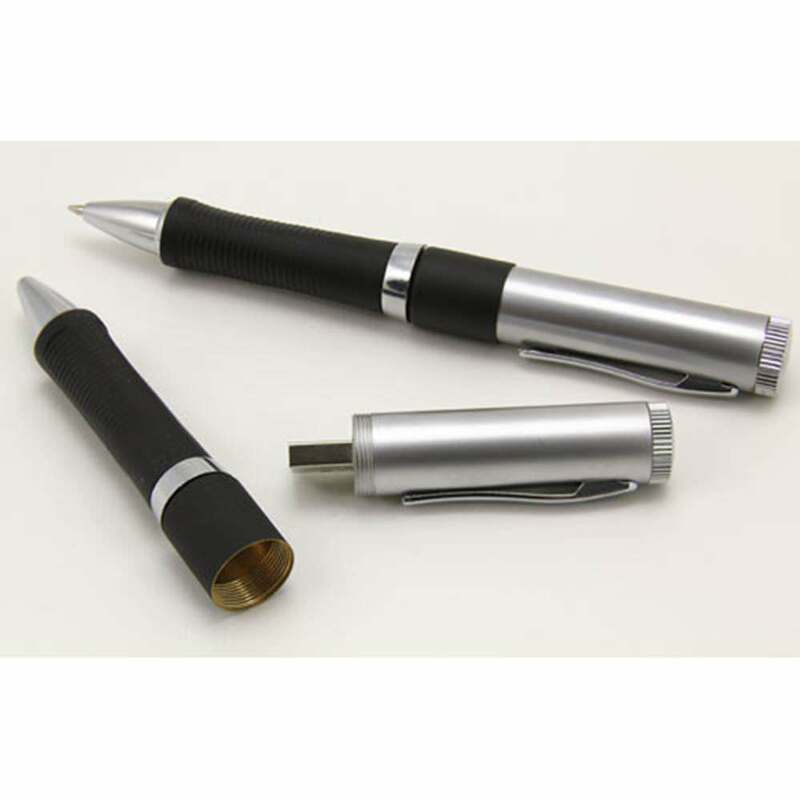 You can use this sleek, beautiful metal device to write with ease, thanks to its soft PVC grip. The USB inside has storage capacities ranging from 128MB to 32GB, perfect for storing documents, pictures, music, videos, multimedia, and other files. The customizable Ergo comes with a Free 4-Color Silkscreen or Laser Engraving, so you can personalize your pen drive with your logo. It also comes with an LED indicator so you’ll know when it’s powered on or busy. The Ergo has a shock resistance of 1,000Gs, up to 10 years of data retention, and a limited life warranty. It is compatible with PC, Mac, and Linux. 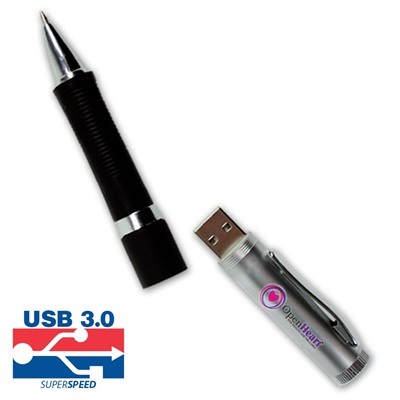 The Ergo Pen drive is available with FREE shipping. The turn time for customization is within 10 business days, so it won’t be long before you’ll be making an impression with this wonderful USB!